Home > Business & Economics > Business & management > Ownership & organization of enterprises > It's the Organization's Culture! : What's Responsible for Business or Failure? It's the Organization's Culture! : What's Responsible for Business or Failure? 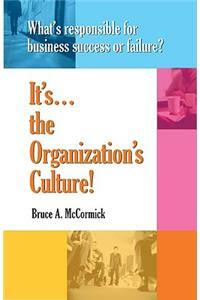 Be the first to Write a Review on this book It's the Organization's Culture! : What's Responsible for Business or Failure?